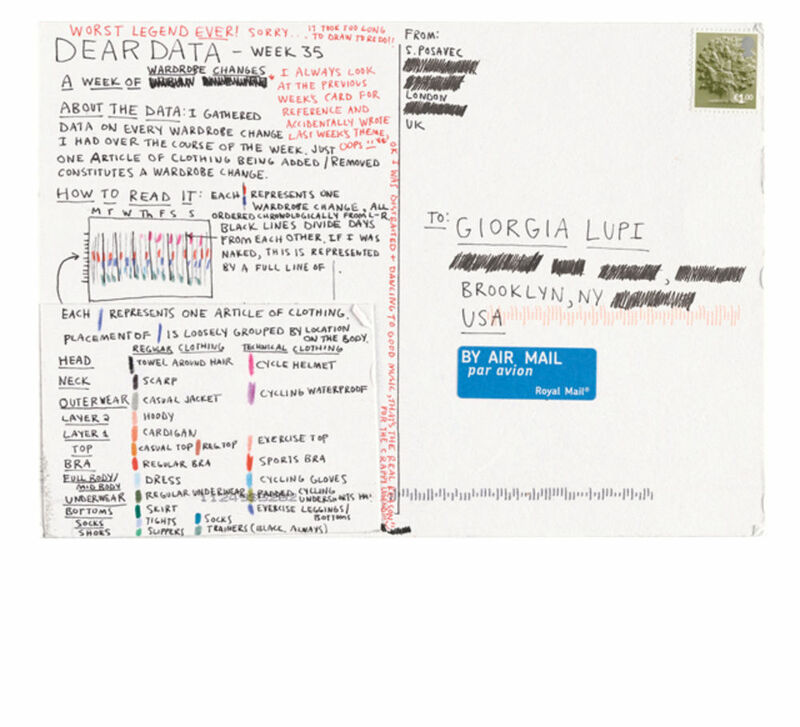 Curiosity and a shared love of data led designers Giorgia Lupi and Stefanie Posavec to become transatlantic pen pals for a year – the results can be found in their fascinating and very revealing new book Dear Data. 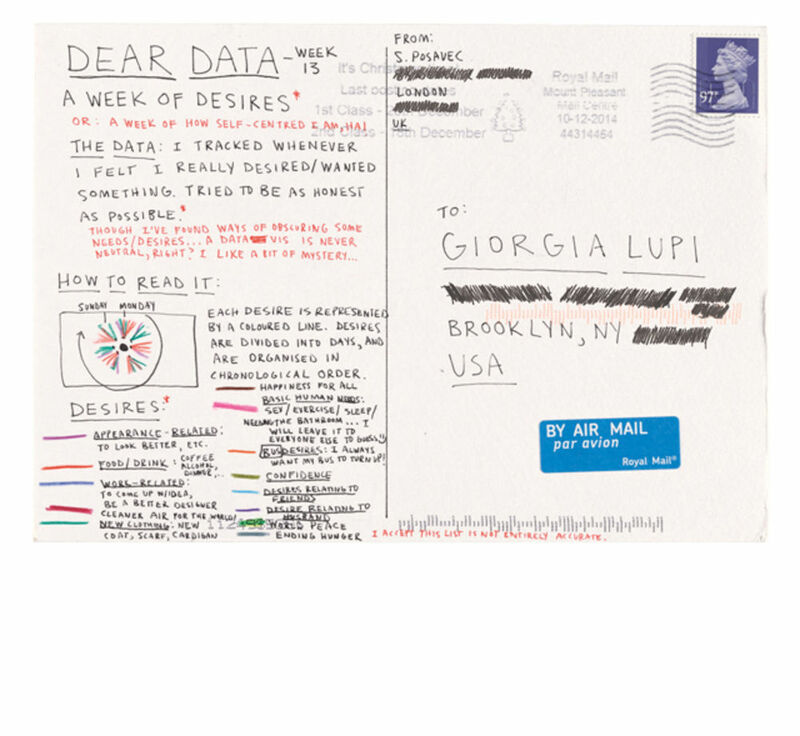 When NYC-based designer Giorgia Lupi and UK-based designer Stefanie Posavec discovered a shared love of data, they decided to embark on a year-long voyage of discovery. 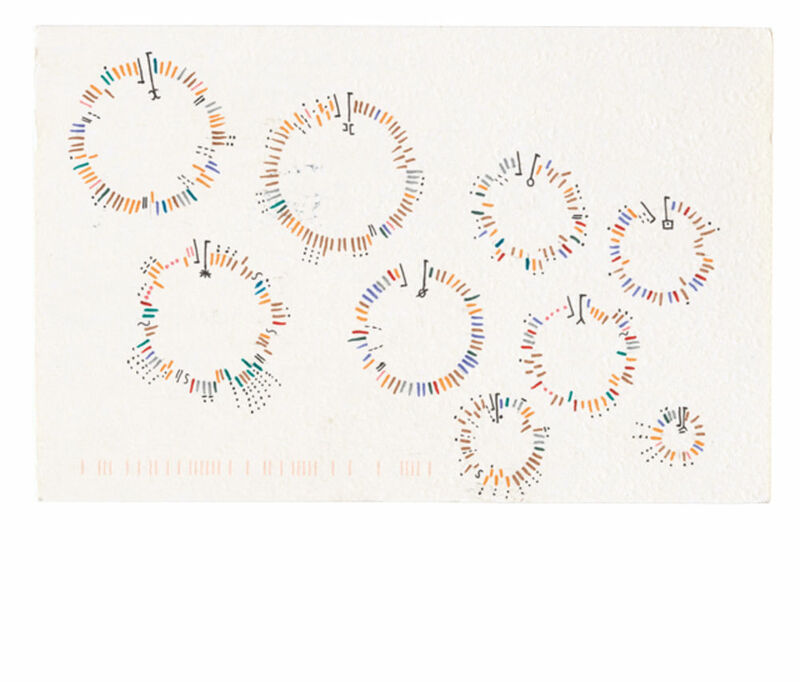 Every week they sent each other a postcard on a different theme, visualising the often-complex data that they'd gathered on the subject in colourful and playful ways. 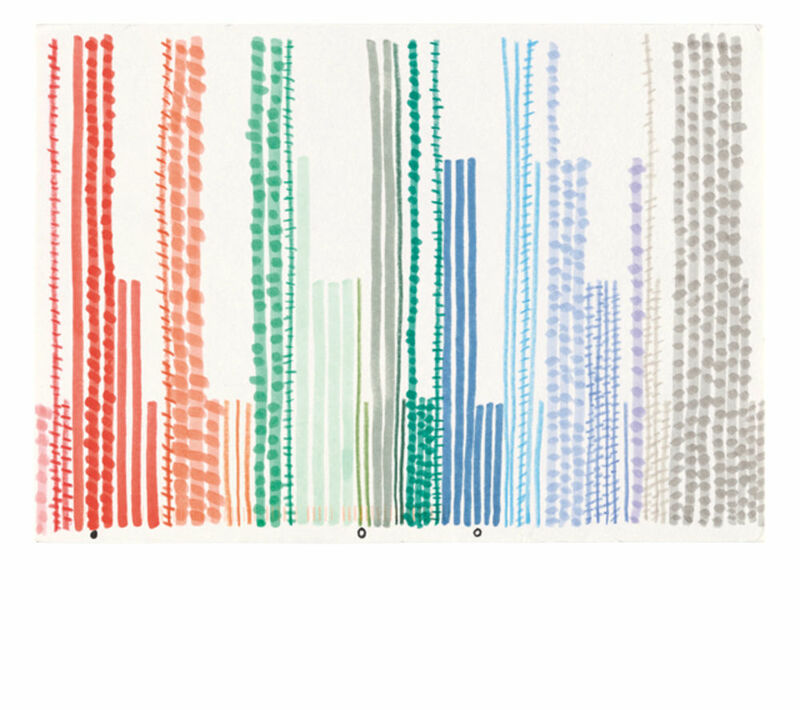 The result is the amazing Dear Data, published this week by Penguin. It makes for compulsive reading and shows us that data doesn't have to be boring and clinical – the pair's offline approach is a heartwarming record of their day-to-day activities, and a revealing glimpse into their lives. We caught up with Giorgia and Stefanie to find out more. How did you first meet, and how did the idea for the project come about? We both have a very analogue approach to working with data, which is relatively unique in our field, so we thought it would be interesting to work together to create a data project that showcased our interest in the analogue, and using a slow, manual method of rendering data. 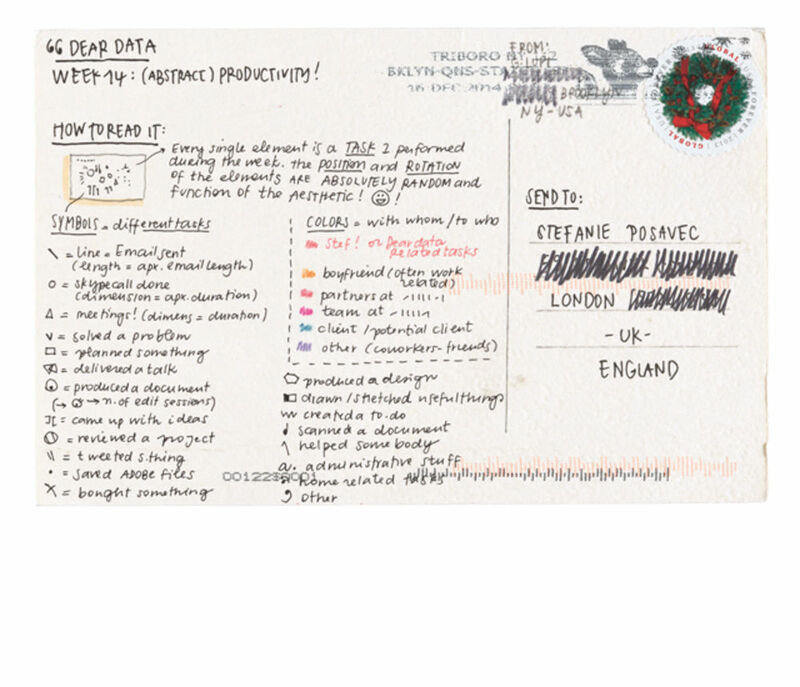 We also took the biggest constraint as a design one: one of us lives in London and the other in New York, how can we exchange our data-drawings? 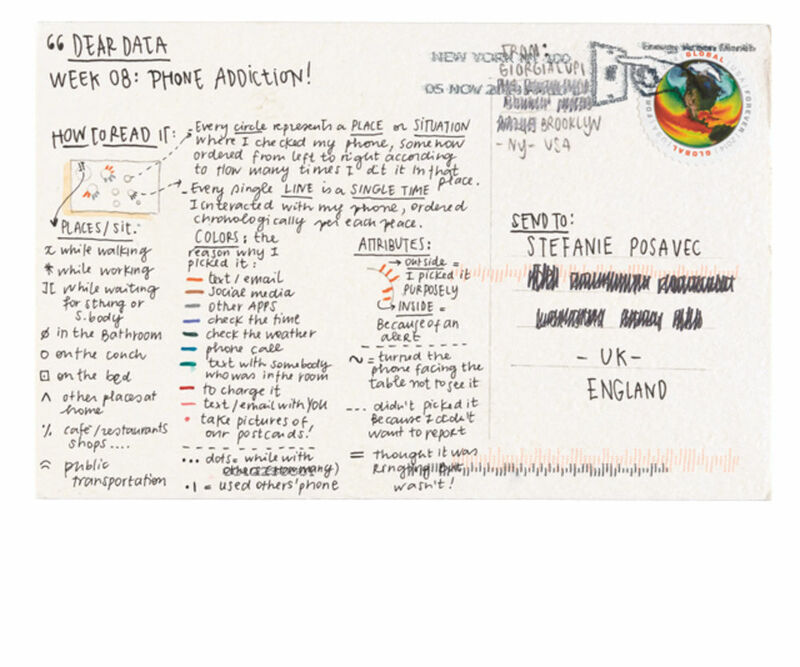 The idea of becoming ‘data pen pals’ and sending postcards to each other across the sea seemed very compelling, and we decided to take in the risk that some of our postcards might get lost or damaged during their travel. 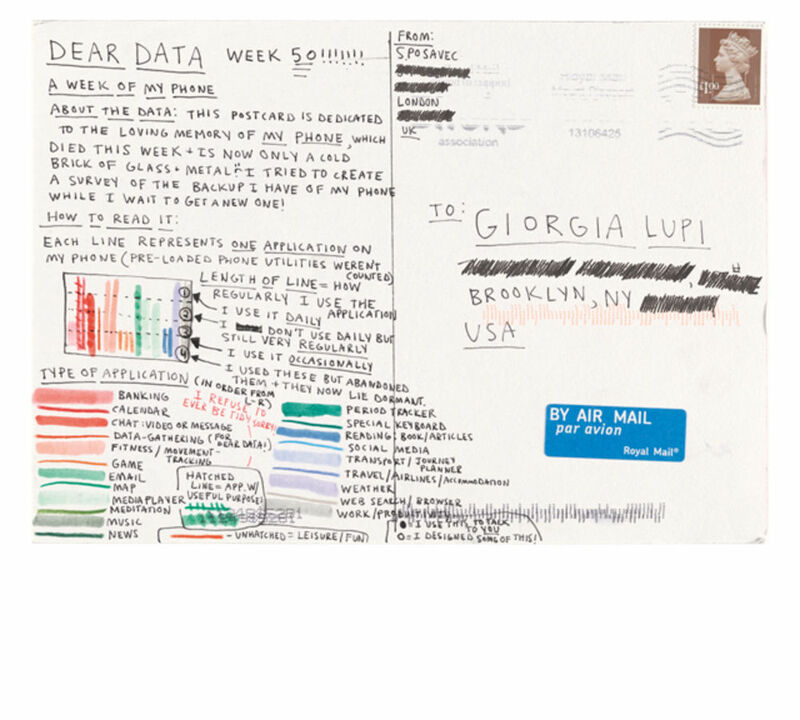 Dear Data became our way of getting to know each other: through our personal data on different topics every week, and through analog design artifacts to deliver as ‘gifts’ to the other. 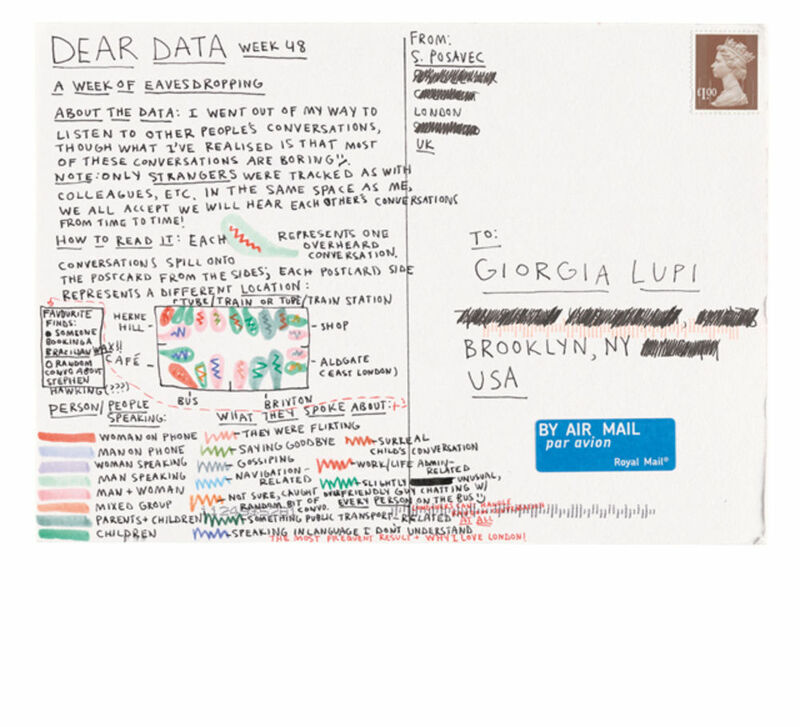 Also, we were also curious to see if it was possible to get to know a person only through the medium of data and drawings. You both work with data, was this a conscious attempt to demystify it and make it more accessible, or just something that you thought might be a bit of fun? It definitely was an intentional attempt to show how data is not scary, is not necessarily “big”, but is ever present in everyone’s lives: we are all made of small and big data, quantitative and qualitative ones. This project allowed us to speak about data to an audience that is not only made of designers or data geeks, with the project we explored the role that data can have in how we understand personal experiences and people’s lives: data is often considered to be very impersonal, but this project aims to highlight the opposite through the exploration of using something seemingly 'cold' to communicate messy, emotional aspects of being human. Also, we have both found with previous projects reaching a wider audience is that it’s often difficult to get people to understand (for example) what big data is or open data is if they don’t know what ‘data’ is in the first place. So, we feel we need to explore projects that answer this question first. Because Dear Data looked at domestic and often mundane data that most people can relate to, we've been able to show that data is something that is quite simply in every aspect of our lives, and that it isn’t ‘scary’, or intimidating. In short, we think that small, human-scaled data is a friendly stepping stone to more in-depth bigger-picture conversations about data’s place in our culture and society, data privacy, and so on. Small is a good place to begin. How far in advance did you decide on the themes for each week? Were any topics off-limits? We started with a shared list of possible topics for the fifty-two weeks ahead, but ultimately we would decide the topic for the week over the weekend before. We would text each other and decide together what would be best to track for the week ahead, depending on what we’ve been logging for the previous seven days and discussing about how to even evolve our data collection. In fact, as the project evolved, we challenged ourselves to find data not only in our activities but also in the words we use, in our thoughts, in our surroundings, in our belongings; to compose an articulate portrait of ourselves and our lives. Did it feel odd revealing often quite personal details to someone who you’d only met twice? Surprisingly, it didn’t. Over the year, we noticed how this natural process of personal investigation through data became less and less intimidating, and the more we became confident with our process, the more we wanted to explore how a person’s whole personality – including her flaws and obsessions – can truly be described using data alone. Since when gathering data of any sort, it’s vital that you are honest in your data gathering, this need for data integrity meant that we needed to have integrity and ensure that we were revealing ourselves as we really were, warts and all. We also think that by when presenting even the most dark and personal matters in data form, it offers you a bit of thoughtful distance to the subject makes you less afraid to reveal such secrets, and then you are even more ready to share your whole self to the other person. 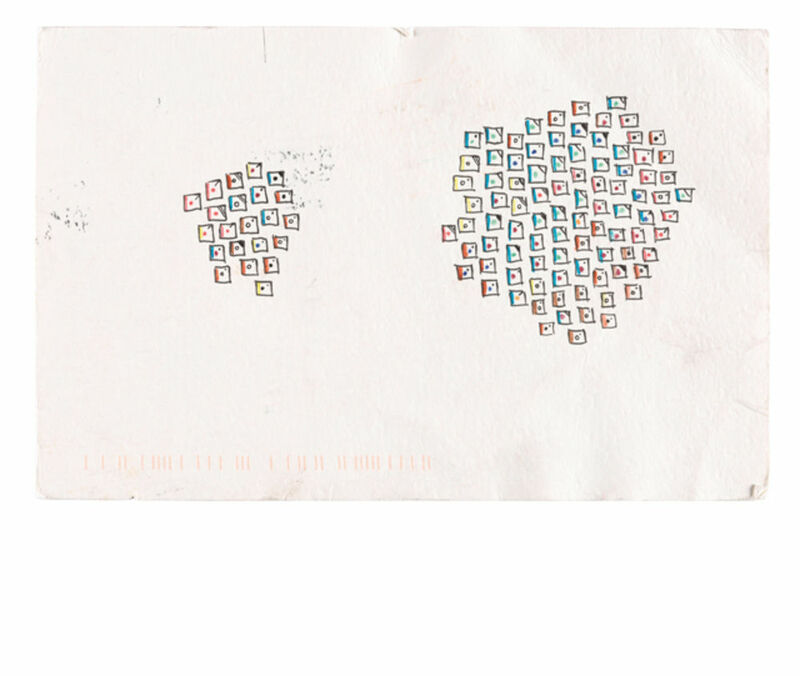 Did you discuss your postcards with each other when you received them? 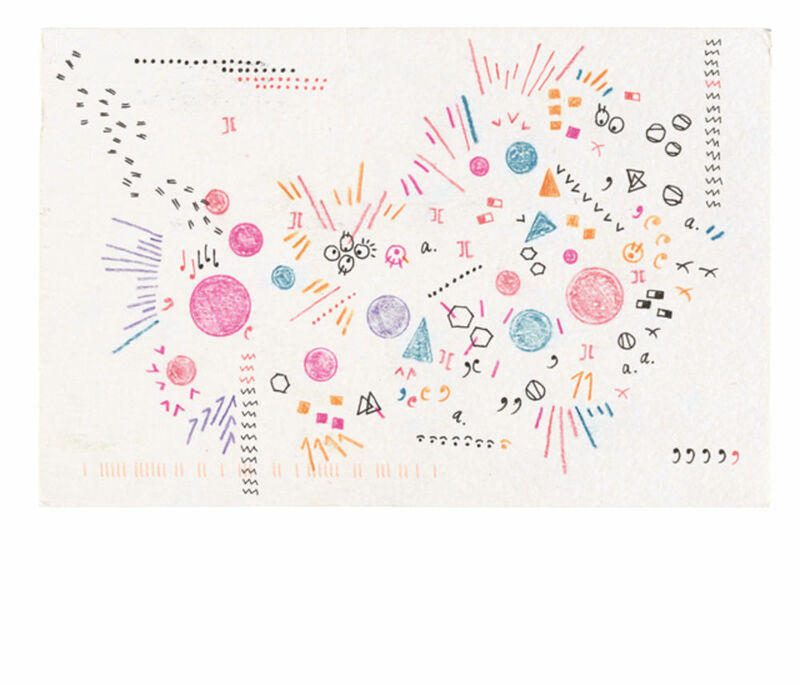 Yes, once we would get the delivery in our mailbox, we would spend some time with the postcard deciphering what the other person encoded and how to unfold the narrative of her week through her drawing. But we most often then texted each other to comment tiny details, or even to ask for more: we like to say that data should be seen more as a beginning of a conversation rather than an ultimate answer to any questions. Did the postman (or anyone else) read your cards? Did any get lost in the post? This is something we have always wondered about, we don’t know. 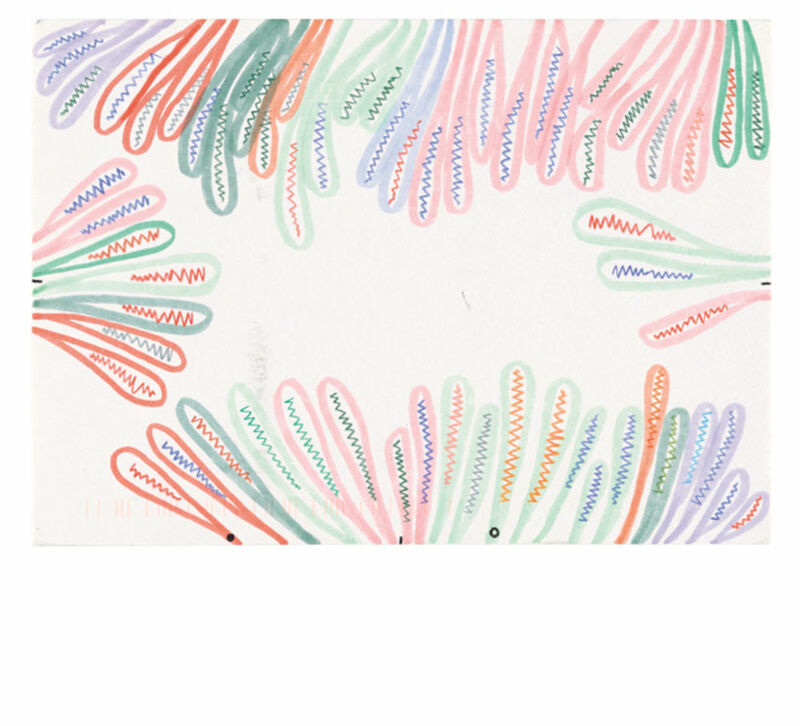 Once Stefanie had to hand a postcard to a person in an office to be posted instead of just putting it in the postbox, so she always wondered what the office staff thought when a large brightly-coloured hand-drawn postcard was pushed in their hands. 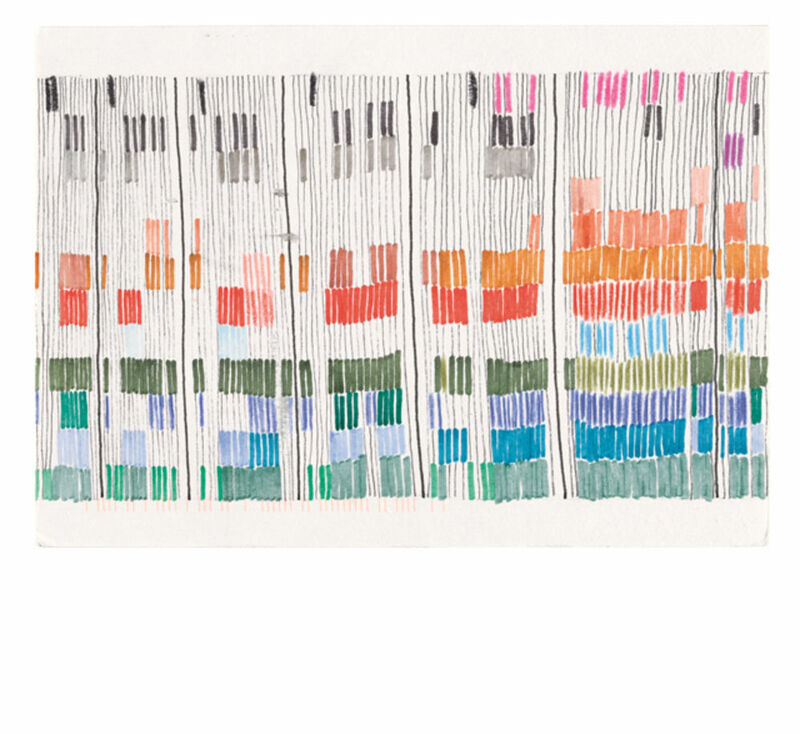 Postcards often got lost in the post, which could be particularly frustrating if it was a week we'd spent a good amount of time drawing, though we also accepted this would naturally be part of the process. 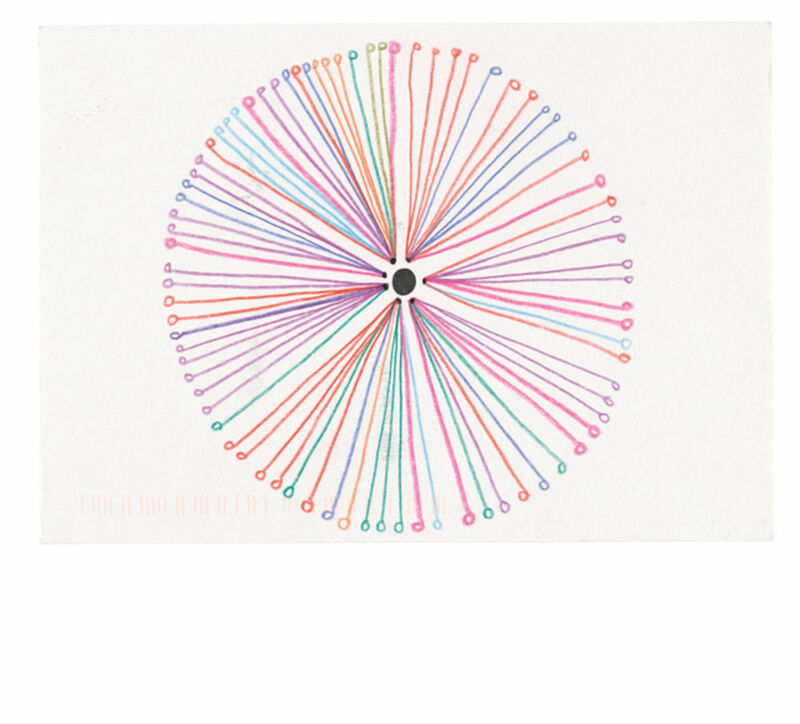 For any postcards that went missing we would just re-draw them and re-send. Were there any points where the project felt like it was taking over your life? Did you ever feel like giving up? We often felt overwhelmed, and it sometimes felt like it was taking over our lives. However, that’s the power of collaboration: knowing that the other person was there going through the same thing was the impetus we needed on the days when the data-gathering felt all consuming to push us forward. But we never felt like giving up, as we could feel that we were up to something compelling both for our personal and professional lives; moreover we didn’t want to let the other person down: it is definitely great to collaborate with someone else on such demanding project, to hold each other accountable. Regardless, we feel that some of the best projects we have seen from artists and designers are those that have a particular level of personal toil and labour invested within them, almost to the point of the extreme, as it generally means they have put their whole being into making the project as best as they could, so what can we say, we have a fondness for painful projects such as these. If you were about to embark on it now, is there anything you’d do differently? We don’t think so, over the year the project was ever-evolving, in a way, as we saw this project as an opportunity to experiment and explore, so every mistake (if they are even really mistakes) was a chance to learn something new. We are happy with the project, imperfections and all, as it forced us to be less afraid and just make something without spending too much time making everything perfect (as designers are wont to do). We are also very excited about the outcome of the project: not only we made it through fifty-two weeks of personal investigation through data, we also designed a book out of the project, which not only showcases our correspondence but also presents newly-drawn illustrations unfolding what we've learned about our lives in data, highlighting how everyone can become a data collector. What’s the most surprising thing you’ve learned about each other, and the world in general during the process? We’ve surprisingly learned how close two human beings can become by sharing their stories in form of quantitative information, one topic at a time. We feel very close to each other, we truly became friends through our data. We learned about each other obsessions, flaw, imperfections, desires, deep emotions and fear, and we learned to love each other despite having met so few times in real life. We also learned that data collection can be a form of meditation: by having to acknowledge, count and analyse what is happening in your mind and around you, you are reminded of the present moment in a way we couldn’t envision before. Are there any other joint ventures in the pipeline? Yes…But it’s early days, so watch this space. 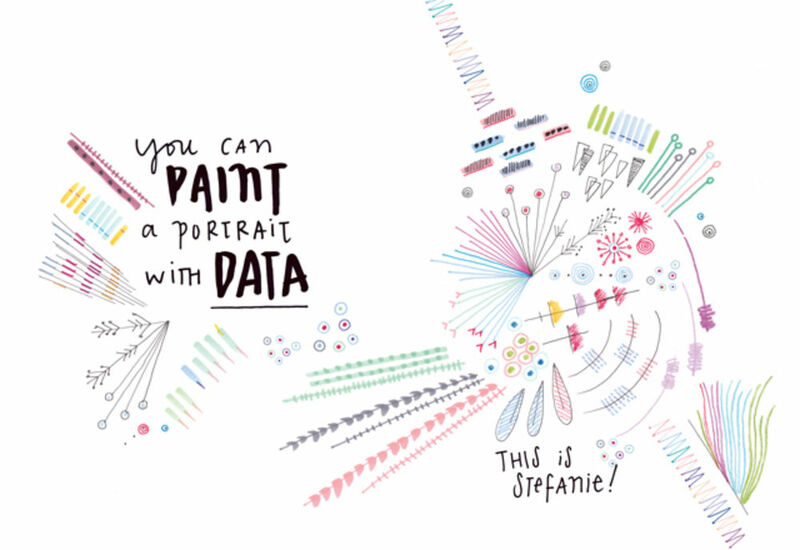 Find out more about the project, and order a copy of the book at dear-data.com.